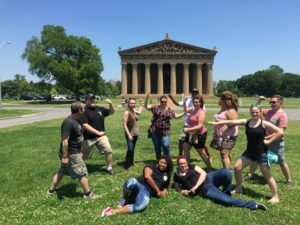 Do you have a group that's coming to Nashville for a meeting or is based here and looking for a fun day of team building together? Our food tours are exactly what the doctor ordered for a great time of discovery, fun, and relaxation together. 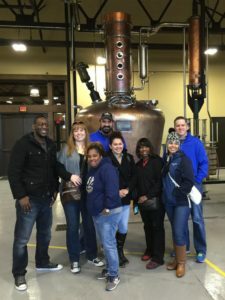 We're always hosting groups of anywhere from 6 to 100 guests for these fun tours that combine sightseeing and visits to Nashville landmarks and neighborhoods with some incredible local food and drinks. 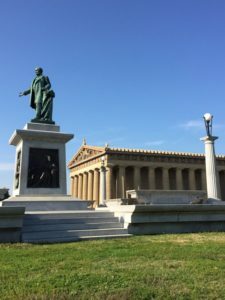 Depending on the tour, we visit breweries, distilleries, Hot Chicken places, whole-hog barbecue pits, and fine dining spots that provide an amazing meal and social opportunities with a fun trip around Music City, taking in East Nashville, Belmont, Centennial Park, the Farmer's Market, Capitol Building and more. Try our Signature Tour (combining iconic southern food and drink), our Photo Safari (for a great outing with both a food and sightseeing guide as well as an artist/photographer, combining Sites & Bites in a fun-packed outing), our Music City Brewery Tour – for insightful visits to local craft breweries and samples of more than a dozen local favorites, We're always happy to customize a tour if you like, for just the right experience. Sound like fun? It is! 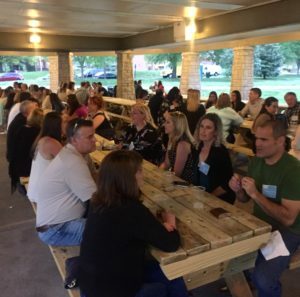 Use the contact form from the top menu to let us know what you're after, Here are some pictures from recent team outings. Let's make yours the next one!